This mod is designed primarily for those who have a barrier at customs (DLC “Baltic”) sometimes touches the trailer, and does not pass. On orders WoTr is critical, because in addition to the cancellation options are no more. Also cheaters can pass without payment and stop. Mod adds to the game more realism, No smash gates and barriers, many companies ! 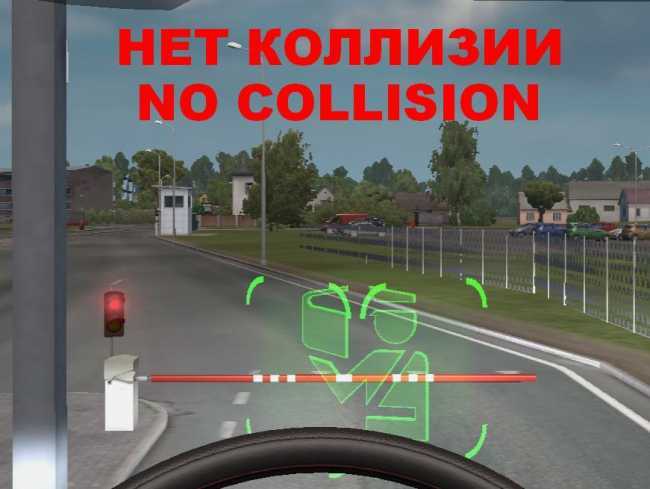 All gates and barriers have no collision, In mod there are not all companies that are in the game, the mod will be updated! with two looks clear and dirty. before you can see the “Concrete Barriers” in jobs list. ● Compatible with 1.33.x update. ● Compatible with all map DLC’s . ● All map 0 discovered, all garages bought. ● Profile money 87.150.208 Euro. Mod “Military oversized cargo” v1.0 for DLC “Beyond the Baltic Sea”. 1. Pine Forest – Island.